The Small Cable Covers by Gear4music is a pack of 3 pedestrian cable protectors that are suitable for indoor and outdoor usage, with an extension system to safely connect multiple covers. 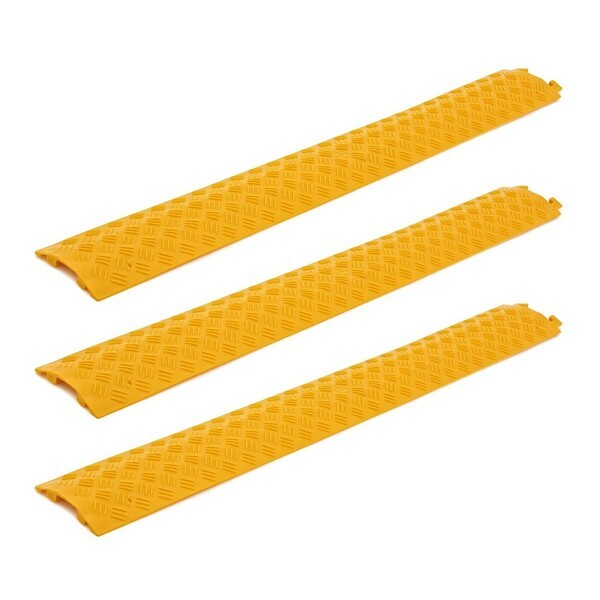 The flexible polyurethane (PU) construction reduces trip hazards, and provides a non-slip surface. 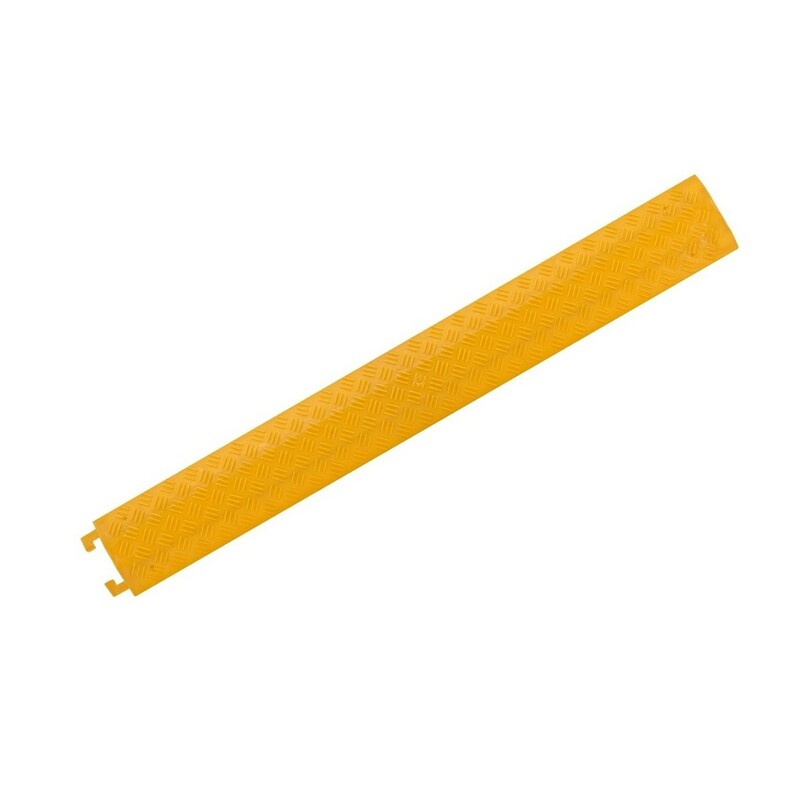 This cable covering is high visibility, making it ideal for offices, venues and outdoor events.